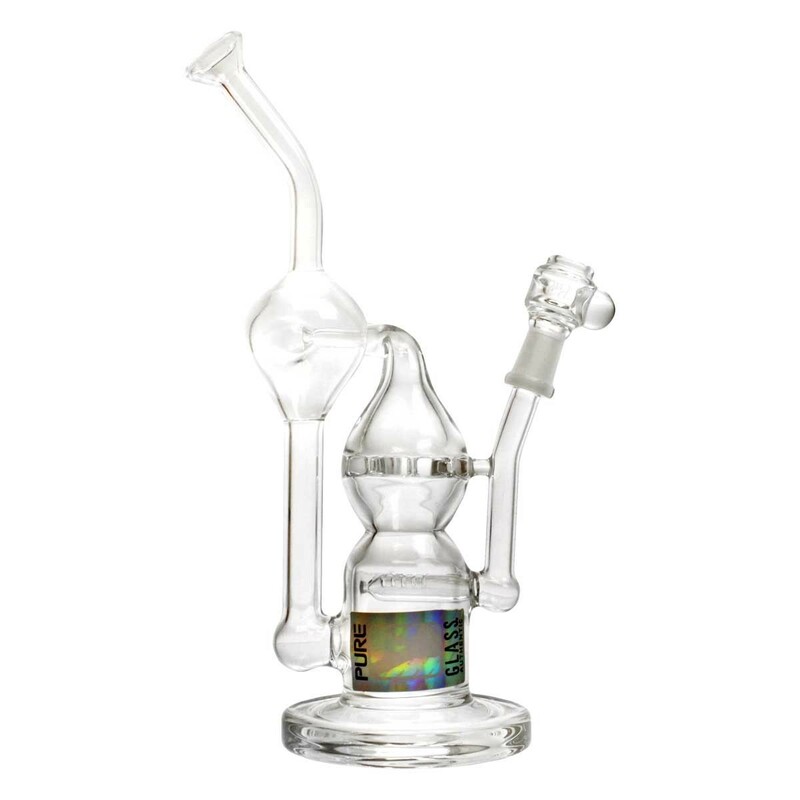 Pure Glass is a global brand of premier glass bongs and dab rigs. Pure Glass began in Southern California over 10 years ago with a just a few local glass blowers in Los Angeles. Now they have established themselves as leaders in the glass industry. Pure Glass is known for their sleek designs, deep etch, and colours of their handblown glass. 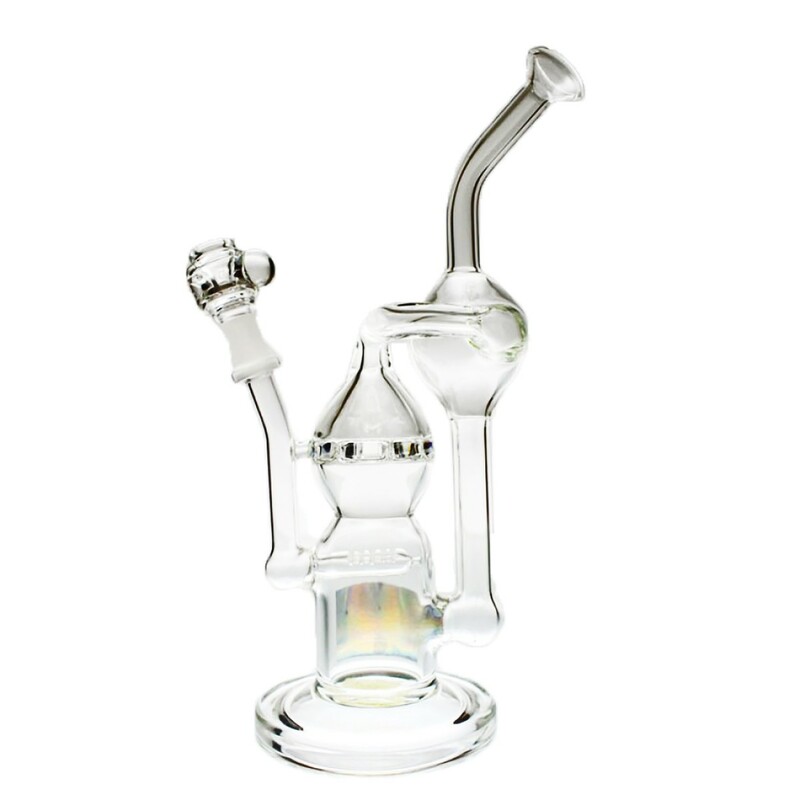 The Pure Glass Infinity Recycler 10mm can be used for both Flower and Dabs and is the smaller 9" tall 10mm joint version of the 12" Infinity Recyler. For the attached 10mm Male joint, the Pure Glass Infinity Recycler comes with a 10mm Female bowl for Flower and a 10mm Female Dome for Dabs. The Pure Glass Infinity Recycler has an Inline perc, a Ratchet disc perc, and a Recycler design for added filtration. "Pure Glass" is also artistically deep etched into the body of the glass.